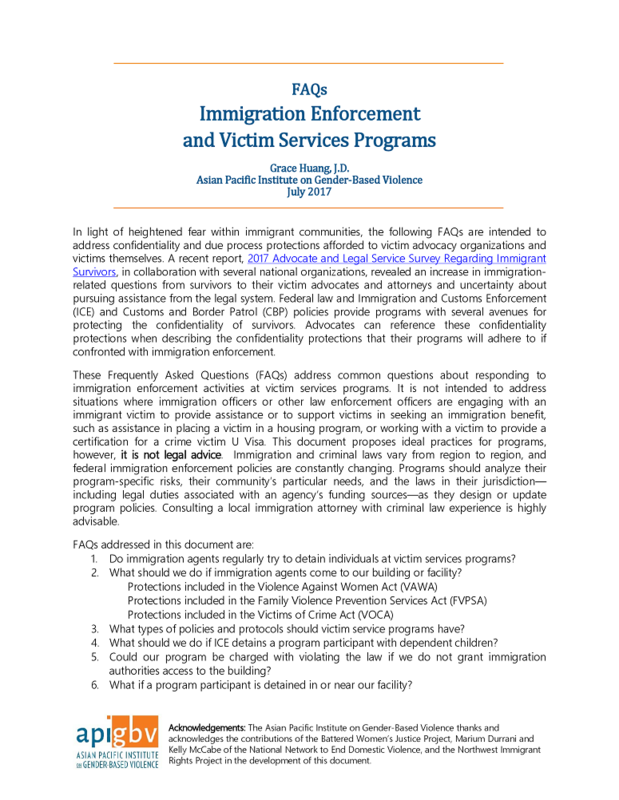 In light of heightened fear within immigrant communities, the following FAQs are intended to address confidentiality and due process protections afforded to victim advocacy organizations and victims themselves. 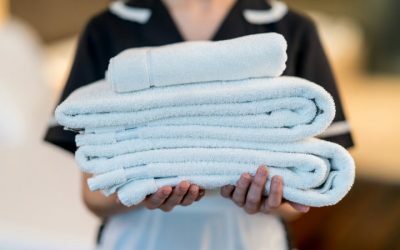 A recent report, 2017 Advocate and Legal Service Survey Regarding Immigrant Survivors, in collaboration with several national organizations, revealed an increase in immigration-related questions from survivors to their victim advocates and attorneys and uncertainty about pursuing assistance from the legal system. Federal law and Immigration and Customs Enforcement (ICE) and Customs and Border Patrol (CBP) policies provide programs with several avenues for protecting the confidentiality of survivors. Advocates can reference these confidentiality protections when describing the confidentiality protections that their programs will adhere to if confronted with immigration enforcement. These Frequently Asked Questions (FAQs) address common questions about responding to immigration enforcement activities at victim services programs. It is not intended to address situations where immigration officers or other law enforcement officers are engaging with an immigrant victim to provide assistance or to support victims in seeking an immigration benefit, such as assistance in placing a victim in a housing program, or working with a victim to provide a certification for a crime victim U Visa. This document proposes ideal practices for programs, however, it is not legal advice. Immigration and criminal laws vary from region to region, and federal immigration enforcement policies are constantly changing. Programs should analyze their program-specific risks, their community’s particular needs, and the laws in their jurisdiction—including legal duties associated with an agency’s funding sources—as they design or update program policies. Consulting a local immigration attorney with criminal law experience is highly advisable.